This piece was inspired by “We Planted a Tree” by Diane Muldrow, illustrated by Bob Staake, © 2010. We Planted a Tree was originally a duet commissioned by Clarinets for Conservation. 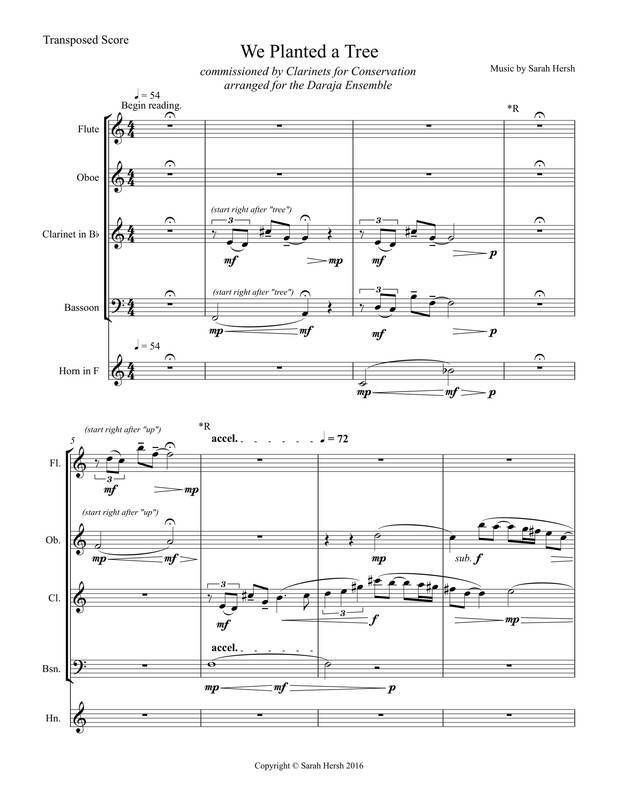 The wind quintet version was commissioned by and arranged for the Daraja Ensemble.